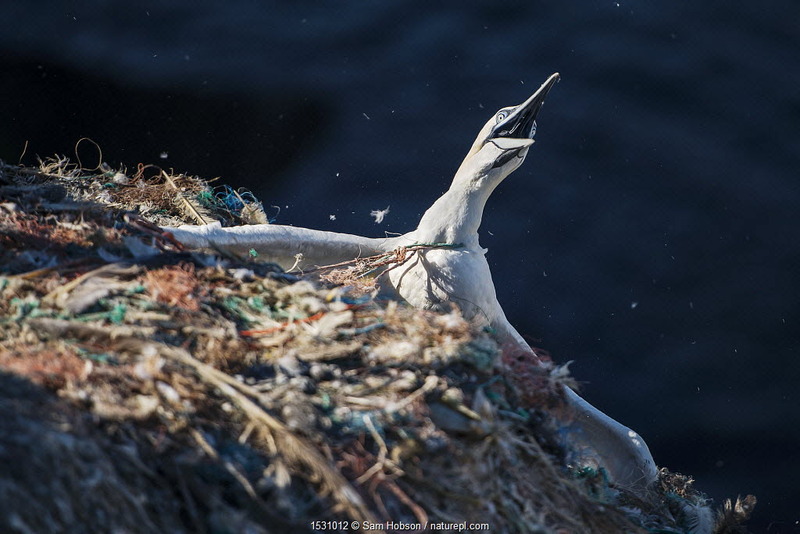 In 2017, BBC series ‘BLUE PLANET II’ addressed an uncomfortable truth: Every year, 8 million tonnes of plastic ends up in the world’s oceans – and it’s our fault. 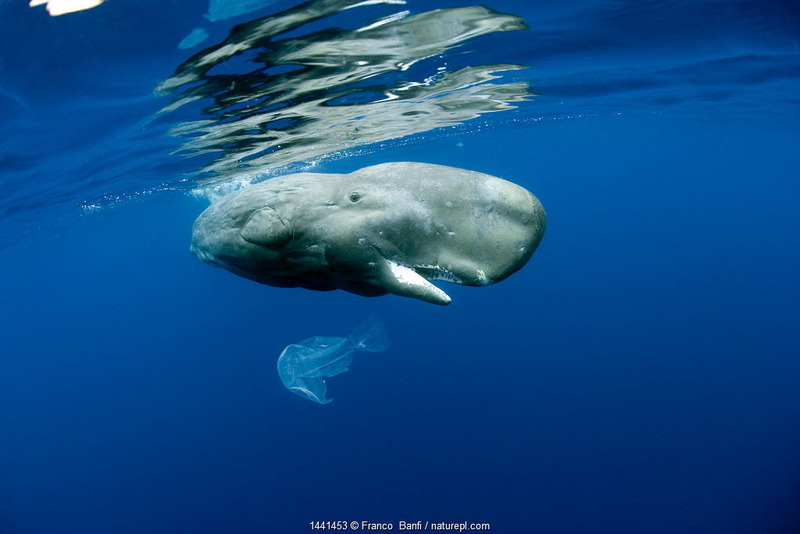 Plastic pollution has since become big news. But what can be done to tackle one of the greatest environmental challenges of our time? 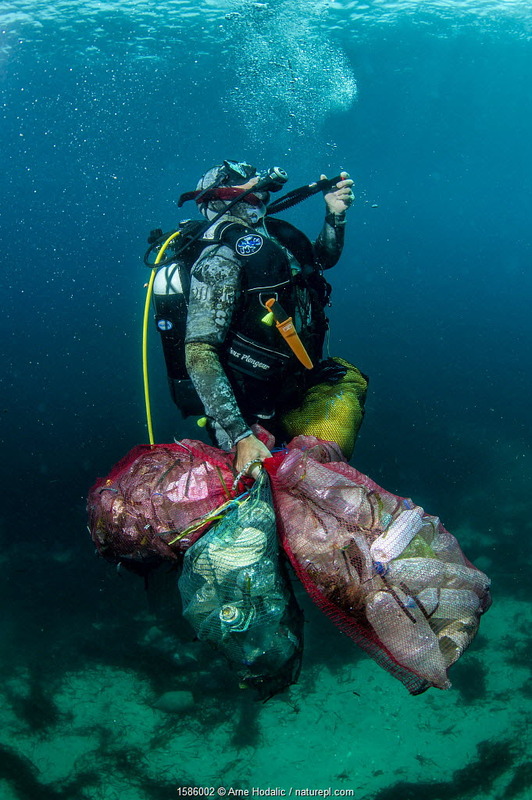 We’ve all seen it: the carrier bags and empty bottles, fishing gear and life buoys, food packaging and drinks straws strewn across the beach in ugly, tangled drifts. 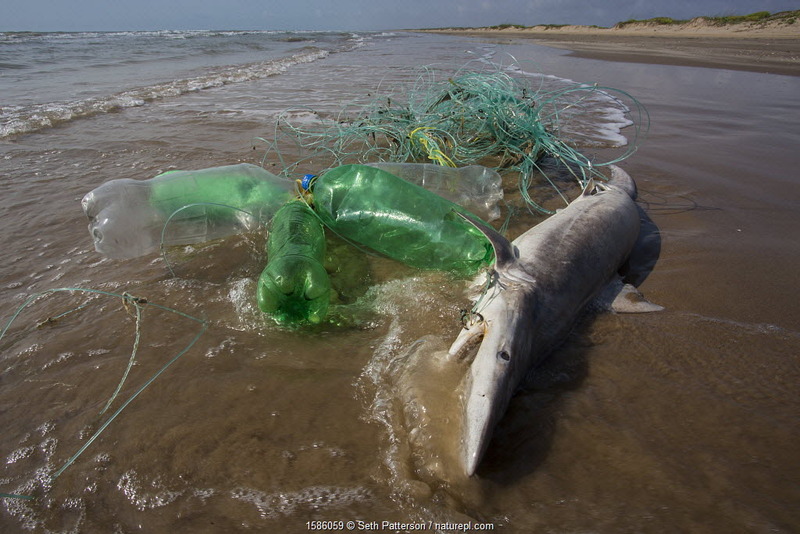 But the scale of marine plastic pollution has only recently started to become clear. 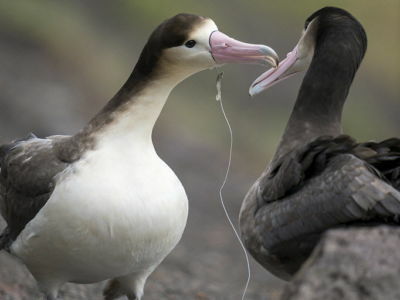 Far more than just an eyesore along our coastlines, we now know that plastic is choking our oceans, and the wildlife that should be thriving there. 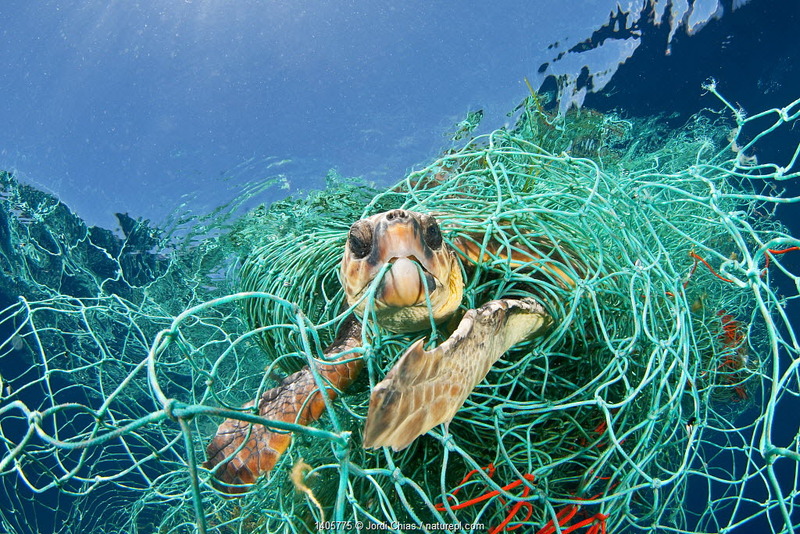 Current estimates indicate that there are over one million pieces of plastic per square mile of ocean. 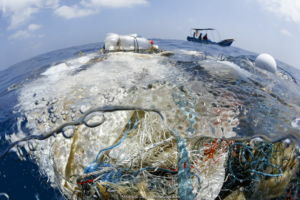 In 2015, research published in Science revealed that 8 million tonnes of plastic is entering the ocean every year; the equivalent of a rubbish truck dumping its contents into the sea every minute.The following year, a report published by the Ellen MacArthur Foundation suggested that there will be more plastic in the ocean in the year 2050 than there will be fish. The statistics are sobering indeed. But why should they concern us? Globefish (Diodon nicthemerus) swimming past a mass of plastic moving in the current, North Sulawesi, Indonesia. 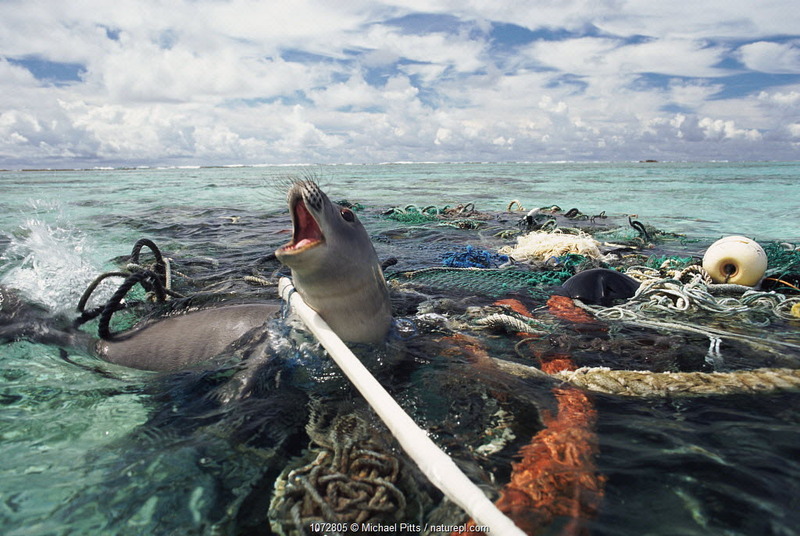 Hawaiian monk seal caught in fishing tackle off Kure Atoll, Pacific Ocean. The seal was subsequently freed and released by the photographer. 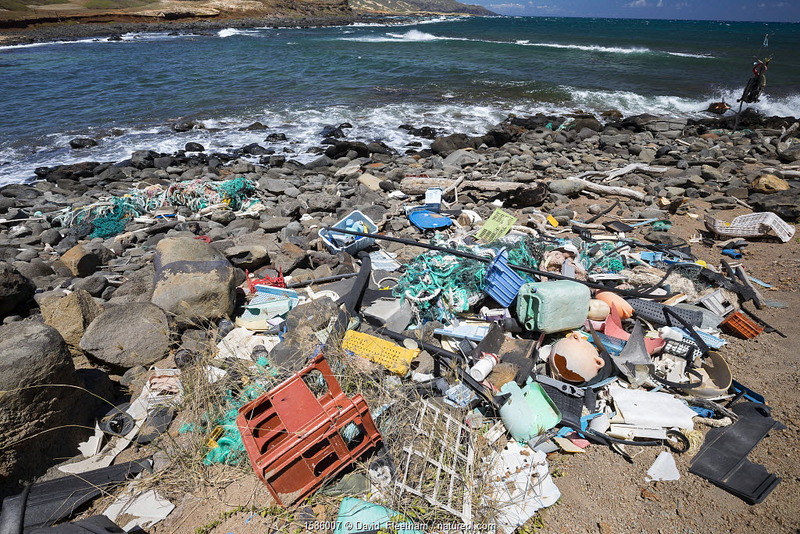 Plastic waste discarded at sea washed up by trade winds onto Molokai Island, Hawaii. July. Blacktip shark (Carcharhinus limbatus) juvenile caught on illegal long-line fishing line washed ashore on Boca China beach, Texas, USA, May. 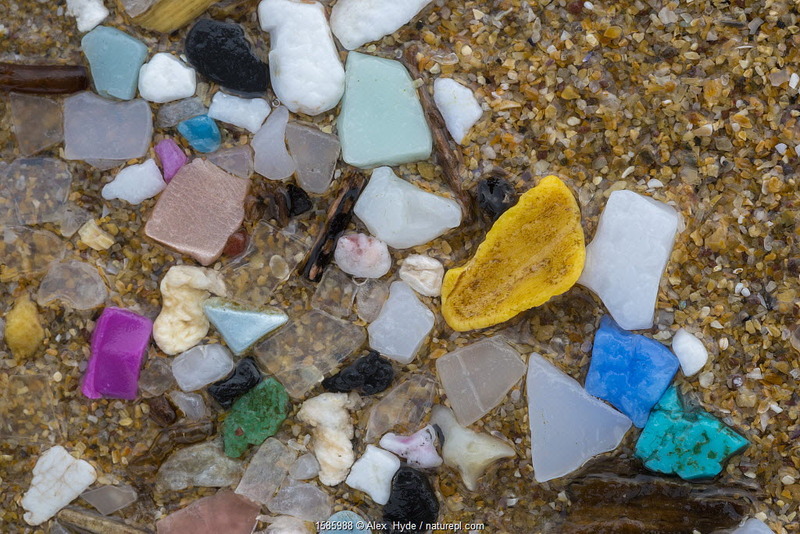 Marine microplastics (particles with upper size limit of 5mm) washed up on a beach in Pembrokeshire, Wales, UK. January. 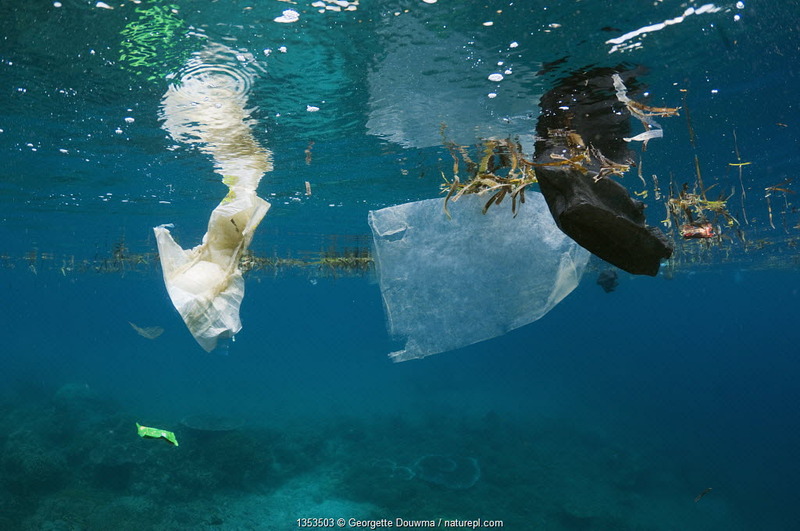 Plastic bag and disposable nappy floating at the surface of the sea. Bunaken National Park, North Sulawesi, Indonesia. 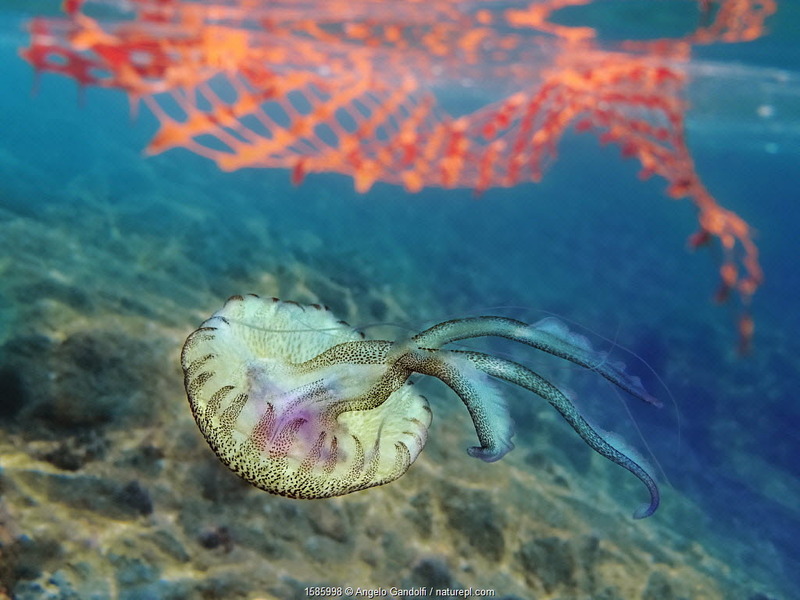 Mauve Stinger jellyfish (Pelagia noctiluca) swimming past discarded plastic net. Mediterannean Sea, September. 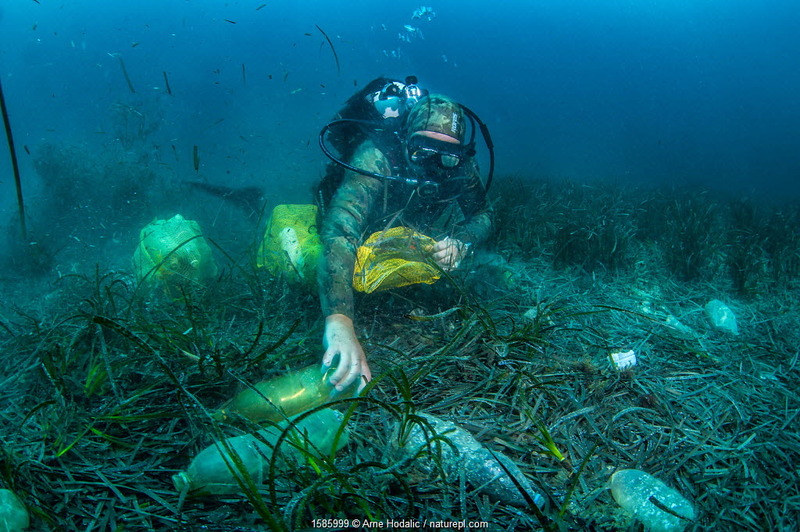 Scuba diver removing plastic marine litter from the sea bed. Mljet National Park, Mljet Island, Croatia. May 2015. 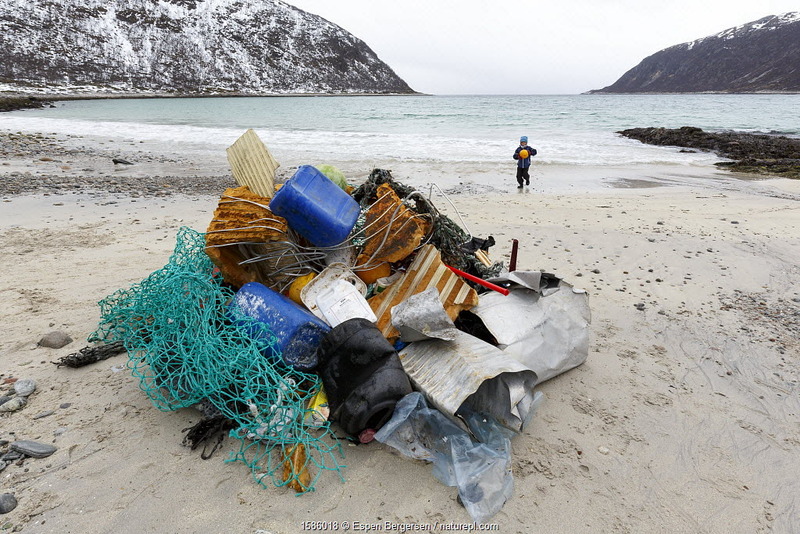 Child gathering marine pollution from beach, Troms, Norway, May 2017. Winner of the Threatened Nature category of the Nordic Nature Photo Contest (NNPC) 2018.